With Thanksgiving just over a week away, now’s the time to stock up on festive home decor. Luckily, you can find everything you need at your local Crate & Barrel furniture store! Treat your guests to more than just food this year. At Crate & Barrel, you’ll find home decor, conversation starters, and rich accents sure to complement your warm hospitality. Trying out a new recipe this year? Visit Crate & Barrel for state-of-the-art kitchen tools to simplify food prep as well as dishes to store the leftovers. If there are any, that is. 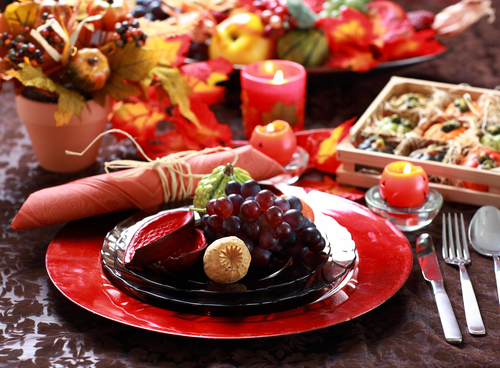 Shop Thanksgiving Decor at Your Local Crate & Barrel! Don’t drive around town looking for the gorgeous housewares, when you could be prepping for the big day. Instead, stop by your neighborhood Crate & Barrel furniture, where you’ll find all the home decor on your wish list in one place. Check out their website for their entire Thanksgiving collection as well as their modern furniture selection.